Falmouth selectmen decided Monday not to appeal a judge’s determination that the wind turbines, like those above, are a nuisance and must be shut down. 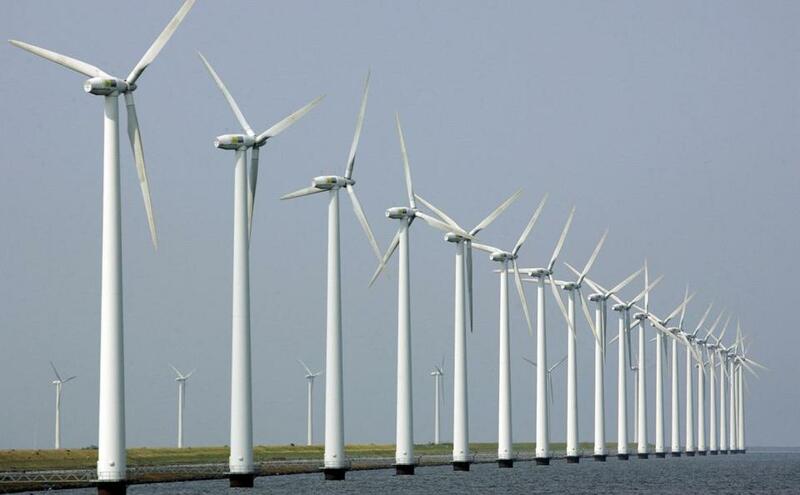 The costs of the Wind Turbine Curse keep adding up. A cursed windmill? That’s how I described the Falmouth tower known as “Wind 1” in 2012. And the legal battles were just getting started. Now, the court fights might finally be over. The bills? That’s another story. The Falmouth selectmen decided Monday not to appeal a judge’s determination that Wind 1 and its younger sibling, Wind 2, are a nuisance and must be shut down. This essentially marks the end of the two turbines in town. Wind 1 arrived with an already troubling past. A predecessor agency to the Massachusetts Clean Energy Center ordered it in 2005 for Orleans. But that project fell through, and the agency spent $146,000 in ratepayer funds to store its parts until Falmouth stepped up in 2009 to buy it. Wind 1, and then Wind 2, were simply built too close to homes. Neighbors complained of health problems, ranging from sleeplessness to tinnitus. They headed to court. Eventually, the windmills were shut off at night. Finally, Wind 1 was put on hold. And Wind 2, town manager Julian Suso says, stopped spinning last month because of the judge’s decision. About those bills. Suso tells me the town is obligated to make $4.6 million in bond payments for Wind 1 over 12 years, and to pay nearly $1.7 million to the MassCEC over 15 years. For Wind 2, the town is now on the hook for $4.9 million to the state’s Clean Water Trust. State and town officials are negotiating Falmouth’s total tab. But in the end, someone’s still going to have to pay. Contact Jon Chesto at jon.chesto@globe.com and follow him on Twitter @jonchesto.